Did Laura Prepon Just Share A Huge Orange Is The New Black Spoiler? Major spoilers are ahead for Season 3 of Orange is the New Black, so proceed with caution, just like you would throughout Litchfield. Season 3 of Orange is the New Black wasn’t exactly the most pressing or exciting season of TV that Netflix has ever delivered, but it was as consistent as ever in writing and character development. By the time the season ended, there was basically only one character who reached a point that could be considered a cliffhanger, Alex Vause. But it looks as if actress Laura Prepon herself has cleared things up a bit on Alex’s fate going forward to Season 4. Maybe Prepon had no idea how many people thought she was dead. 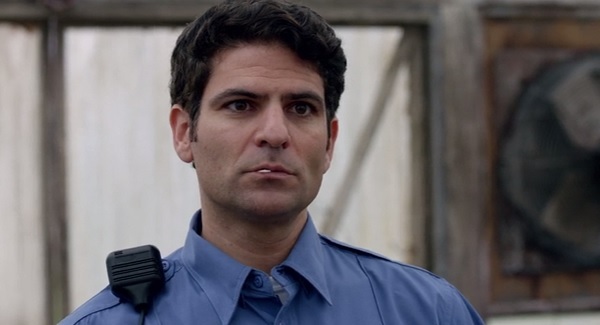 If you’ll recall, Alex’s time on the episode ended as she was tasked with sweeping out the greenhouse, at which point she came face-to-face with the toothpick-chewing Aydin, who was a henchmen for the drug dealing Kubra. Only now, he was posing as a CO for Litchfield, who had no problem getting hired thanks to their CO woes. To be fair, it wasn’t directly implied that Alex was going to die, since Aydin didn’t make any specifically threatening movements. But the last time we saw Aydin, he put a bullet in Kubra, so her safety wasn’t directly implied either. It just seemed very likely that something horrible would happen to her. And that can technically still be true, even having seen that photo, since Alex doesn’t have to have obvious injuries to her face in order to signify that she got attacked in some way. On the flip side of things, Alex could very well be dead, and Prepon is only there to take on the role for a brief period in the season premiere. Perhaps her death gets shown in detail, or maybe she’ll be a part of a flashback. Perhaps most morbidly, the episode could just have Prepon playing a dead body, like Game of Thrones did with Charles Dance. Alex didn’t exactly have the strongest plotlines in Season 3, especially once Piper and Stella started their tryst. I was really hoping she and Lori Petty’s Lolly would come to blows there at the end. But I guess there’s always next year. Maybe.